All of this.. Takes time.There are no quick long-lasting results. It’s NOT easy. 👉 Life often gets in the way. Maybe it’s work that takes a lot of your time and energy..
Maybe you’re going through a tough time in your relationship.. Maybe it’s bad weather and you just don’t wanna go to the gym. Maybe you feel down because of something..
Or maybe you’re happy AF and know you SHOULD go to the gym but prefer not to because you like doing other things instead.. 👉 Whatever it might be.. Whatever life throws at you..
Get in the gym and get it done. You know you love the grind and you know you’ll love that feeling when it’s done! You know not skipping the gym will bring you one stop closer to your goals. 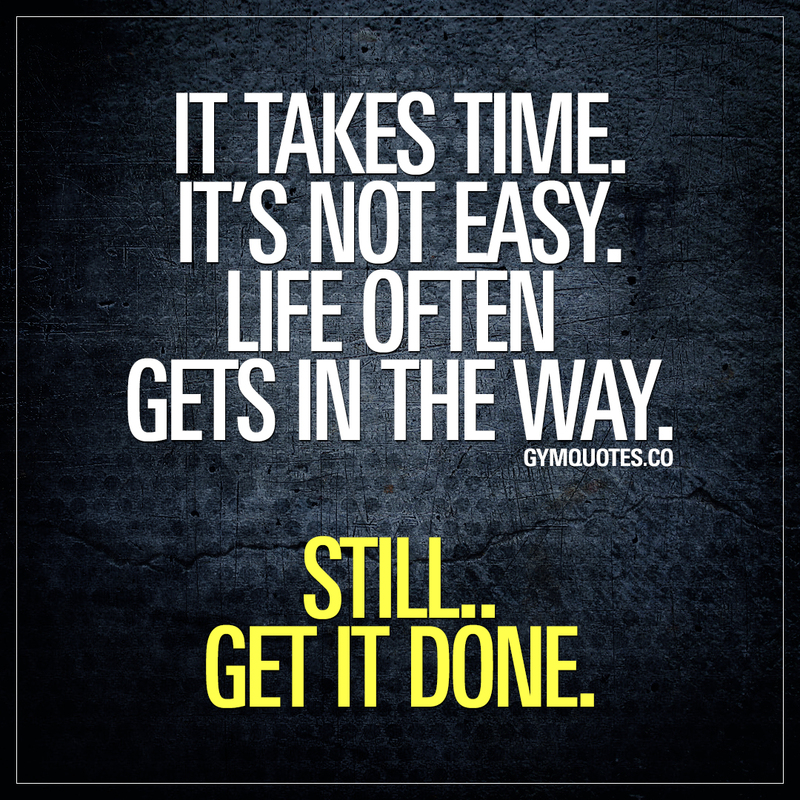 This “still.. Get it done” quote (image and text) is copyright © Gym Quotes 2019.